Oh burst out laughing, laughers! Some photographs appear more still than others. 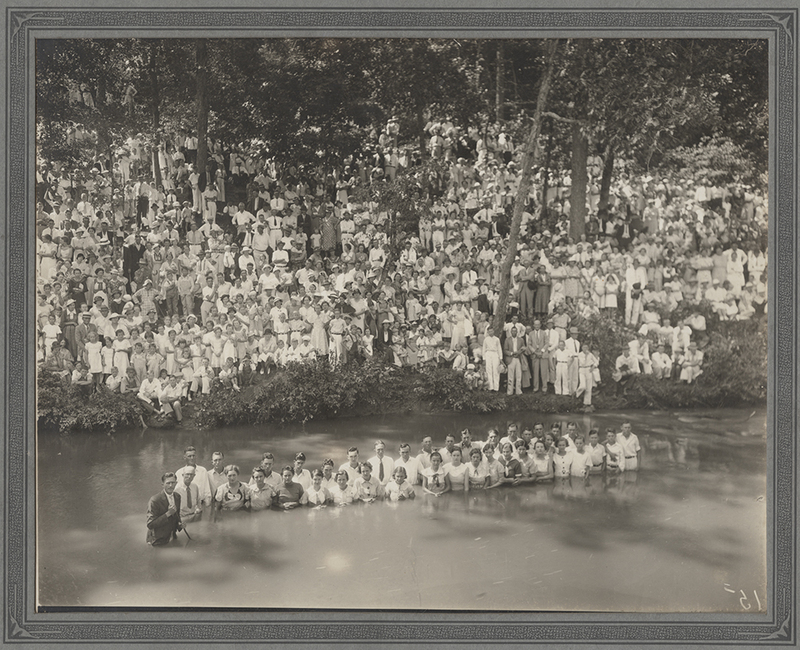 This 1930s image of a mass Baptism somewhere in the Southern United States, for example. Families in their Sunday best have gathered at the river. No one speaks. No one smiles. The photographer, stationed on the near bank, plants his tripod and gets ready while a voice calls the crowd to attention. There is a collective holding of the breath through which we can hear the sound of the river. A reverence for the moment keeps even the children hushed. Finally, the voice announces, “That’s it, everyone!” and as the breath returns the ceremony begins. I love the poem Incantation Through Laughter because it’s so serious. Where there’s no laughter we call life solemn, like in the photograph of the mass Baptism. Solemn has its place, but when things are solemn we know they’re definitely serious, and though serious is fine too, there’s rarely room for laughter. And I love laughter. Ed Jones works at the Archive of Modern Conflict in London. His books include Nein, Onkel: Snapshots From Another Front 1938–1945; The Corinthians: A Kodachrome Slideshow both with Timothy Prus, and Happy Tonite with James Welch.